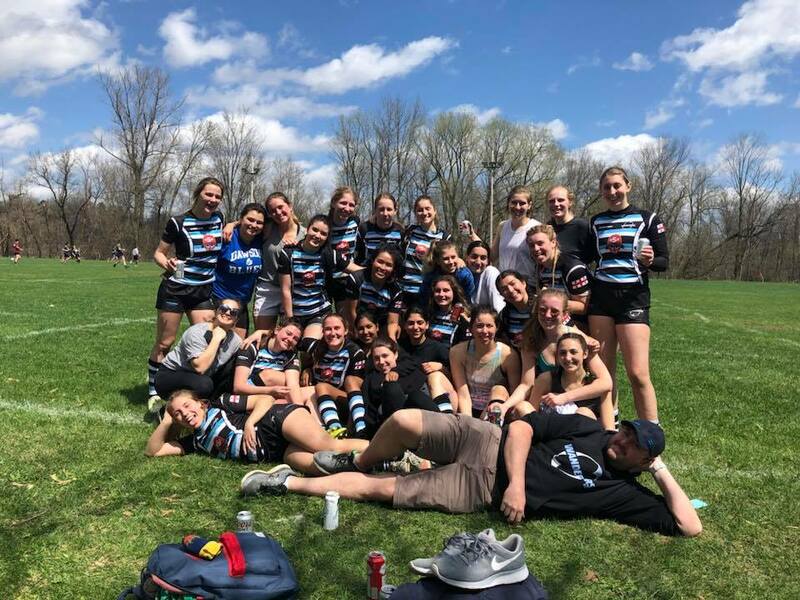 The Montreal Wanderers women’s rugby season seems to have gone by in a flash, but not without some moments to remember. The club is anything but new, having played its first match in the fall of 1957. However, 2018 marked a new beginning for the women. The team experienced a somewhat abrupt and disheartening split from its long running affiliation with the Westmount Ravens, which left them looking at an unpredictable season. No one could have predicted the success and heartbreak that fell upon the women this summer. The team’s exhibition game, against the Laval Nomades, which resulted in a 7-point victory, seemed to have set the tone for the rest of the season. The Wanderers continued to sweep the competition, with especially impressive wins against Sainte-Anne de Bellevue (47-0) and the Montreal Barbarians (47-5), for 8 consecutive games. The team went undefeated from May to July. August marked the Wanderers’ first loss, when the team was overtaken in a close game against the Laval Nomades (19-24). In defiance of this defeat, the women came back with a new determination. Their next game was a tough one, against RCM, but the Wanderers came away with a win (10-8). With semifinals just around the corner, they continued to channel their determination, which ensured another win, the following week against Sainte-Anne de Bellevue (27-10). Semifinals were bound to be a hard game, but no one foresaw just how heartbreakingly close it was going to be. The Wanderers were off to a good start in the game, setting the tone early and scoring a try within the first few minutes. Although, Sainte-Anne de Bellevue recovered quickly, the Wanderers came away with the lead at half time. This lead was fought for and the Wanderers came within a hairsbreadth away from keeping it. The final score was so close that neither team was sure of the victor until the referee announced it; 38-35 for Sainte-Anne de Bellevue. Losing is always hard, but for the Wanderers, losing by less than a try in semifinals was tragic. However, this is far from the end of the Montreal Wanderers women’s team. Talk of next season is already underway and this tragedy contains the seeds of future triumph. Join us to take part in it next summer. Congrats on such a great inaugural season. A women’s team is long overdue.